What I love about this polish and what makes it special among my other navy shades is the fact that it's a crelly. It covers like a creme, in two easy coats, but it has the squishiness of a jelly. I'm not sure that you can see it in the pictures, but I guarantee that it's there. This is what I would call a delicious polish. So squishy! I decided to make it even more interesting by adding some stamping. 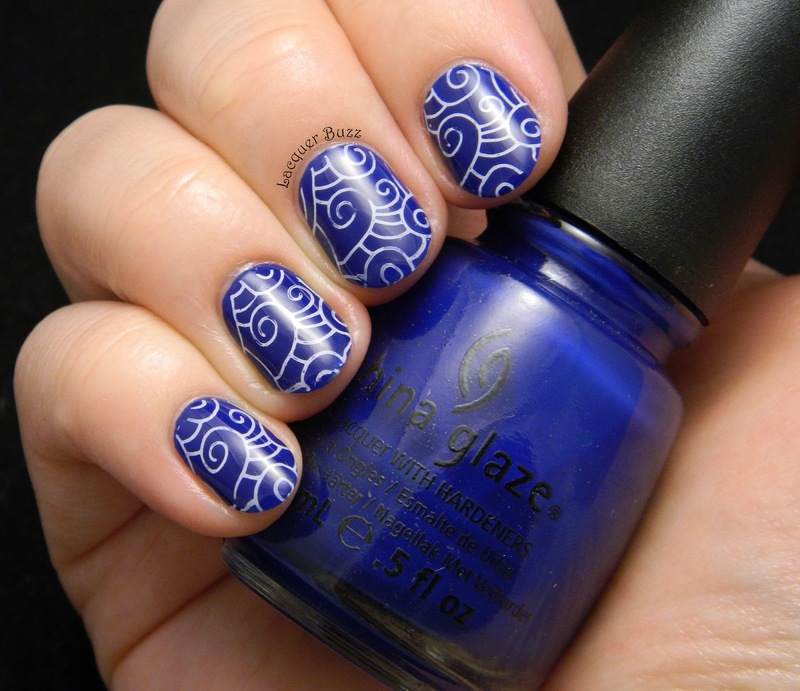 I chose an image from plate NC02 from Nailz Craze and stamped with Konad White. I particularly like this pattern because it's fun and it also lets a lot of the base color shine through. 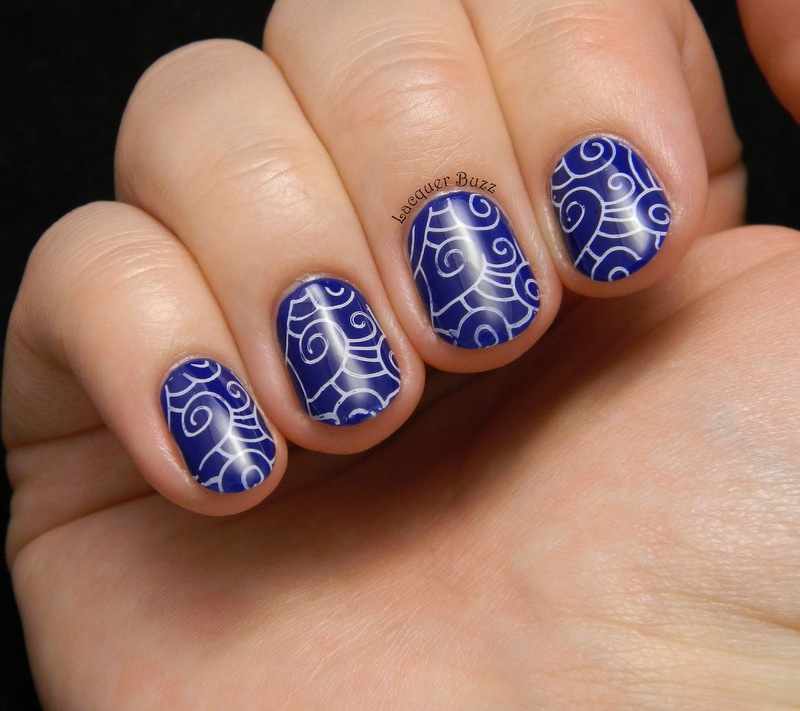 It's also very elegant and makes all my nails look exactly the same, which I love. I really enjoyed wearing these nails and got tons of compliments for them. I hope you won't mind seeing some of my older blues because I haven't been shopping much lately so I've reduced my untrieds to a minimum. Let me know what you think in the comments. And don't forget to check out the rest of the Monday Blues below! Ma uit la manichiura ta si imi vin in minte clipele petrecute in Grecia. Probabil culoarea ma influenteaza, imi place foarte mult! 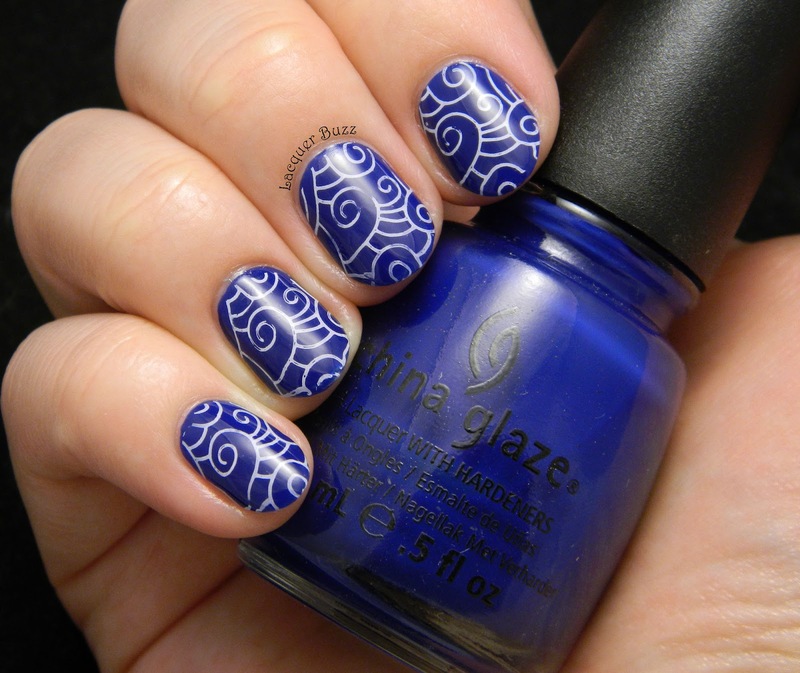 This is a really pretty mani! Thank you! 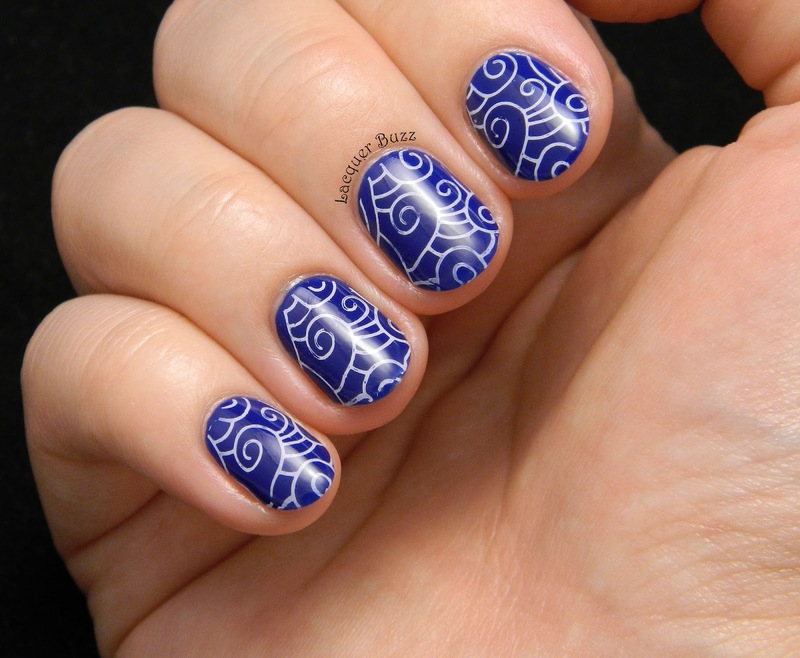 The great quality of the stamping plate also helps. Multumesc mult! Inteleg ce spui. Culoarea asta impreuna cu albul chiar iti aduce aminte de mare. Multumesc! Haha ma cunosti foarte bine. Am un sertar intreg de China Glaze pe care trebuie sa le cunosti. Si fiecare e speciala in felul ei. Eu cel putin le iubesc.